The Women's Fund of Santa Barbara (WFSB) is a collective donor group that enables women to combine their charitable donations into significant grants focused on the critical needs of women, children and families in Santa Barbara, California. The organization is run exclusively by volunteers. The Women’s Fund has a multifaceted membership structure based on donation amounts in order to designate correct voting privileges to members, whether the donation is made by an individual or by a group. Each membership group has a captain who is in charge of contacting those in their group to encourage membership donations. The Women’s Fund researched different systems and ultimately chose CiviCRM after receiving advice from others in the community. They selected Cividesk as their service provider to assist with the implementation, provide training and monthly customer support. Cividesk staff spent quite a bit of time discussing the membership structure with the Women’s Fund to fully understand how it could be properly recorded and tracked in CiviCRM. Because the Women’s Fund doesn’t track membership dues, but rather donation amounts, Cividesk developed a custom program to accurately store the membership data and record the corresponding contributions. As part of the set-up process, Cividesk provided initial trainings and weekly mentoring sessions for several months to answer any questions. The Women’s Fund has over 650 members (individuals, group members or both) and conducts a contribution growth campaign each year to encourage existing members to increase their renewal contributions. They now can easily access data on how many members have participated in the campaign and from which groups thanks to CiviCRM. Accepting online credit card payments is another huge benefit for the organization. Since the integration of a payment processor with CiviCRM, they have seen a significant increase in the number of credit card payments as compared to checks and EFT. The Women’s Fund is preparing to send out membership renewal reminders through CiviCRM and knows this will help facilitate that task: “Using CiviCRM has allowed the organization to focus on their real objective of getting new members rather than spending hours on administrative tasks,” says Julie Capritto, Volunteer. Using their current system, the WFSB couldn’t manage contributions, events or memberships, and they didn’t have a way of accepting online payments. The team of volunteers decided it was time to make a change to a new system that could better meet their needs primarily in the areas of tracking memberships, contributions and managing events. With this, they would require help with implementation, training and monthly support services for ongoing needs. The implementation of CiviCRM was a bit challenging since the Women’s Fund membership structure is based on donation amounts in order to designate correct voting privileges to members, whether the donation is made by an individual or by a group. Each membership group has a captain who is in charge of contacting those in their group to encourage membership donations. Data preparation was a long and somewhat complicated process and included many discussions with the team about which data was truly important to the organization and how much data legacy should be maintained. The goal was to keep the data simple and clean, but incorporate the key information that the organization needed. Time was spent constructing an Excel document based on advice from Cividesk to ensure that they would get off to a good start with CiviCRM. "As part of the set-up process, Cividesk provided initial trainings and weekly mentoring sessions for several months to answer any questions. “That was fabulous”, stated Mary. “I don’t know what we would have done without that. That was above and beyond what was outlined in the initial contract”." WFSB researched different systems but none of them could handle their multifaceted membership structure. This complexity led them to consider a custom system combined with a WordPress website. After discussions with a WordPress provider however, they realized they couldn’t get the results they wanted going this route. 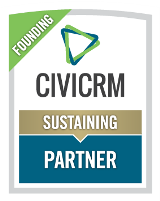 After more research and speaking with community members who had similar needs, they found CiviCRM and began a comparison of several service providers, including Cividesk.